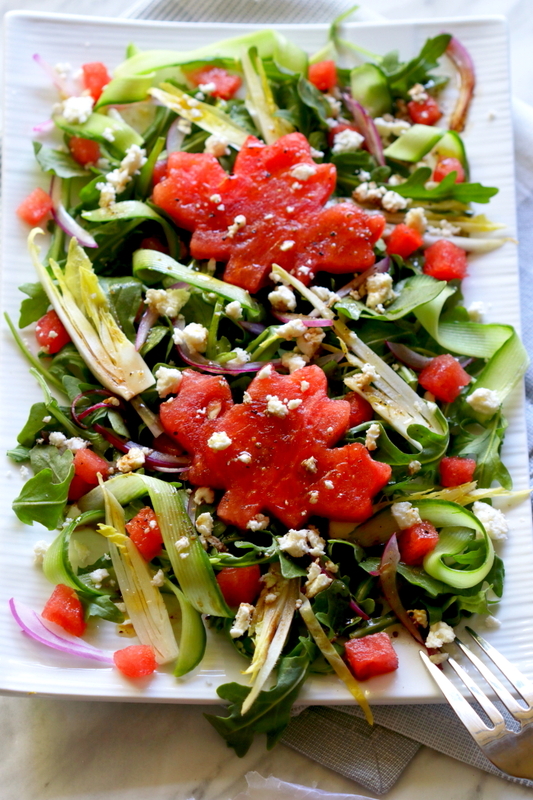 Watermelon and Arugula Salad, a totally fun way to celebrate our Country’s birthday with a little playful appeal from the maple leaf cut outs. 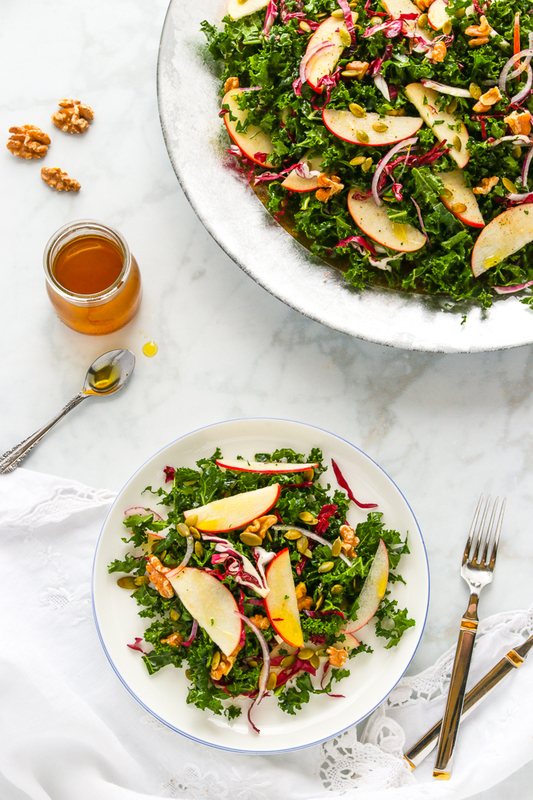 A mix of sweet and spicy and so refreshing, this salad truly comes together effortlessly. I’ve combined some bite sized tender arugula with some some crunchy endives and slivers of mini cucumber. 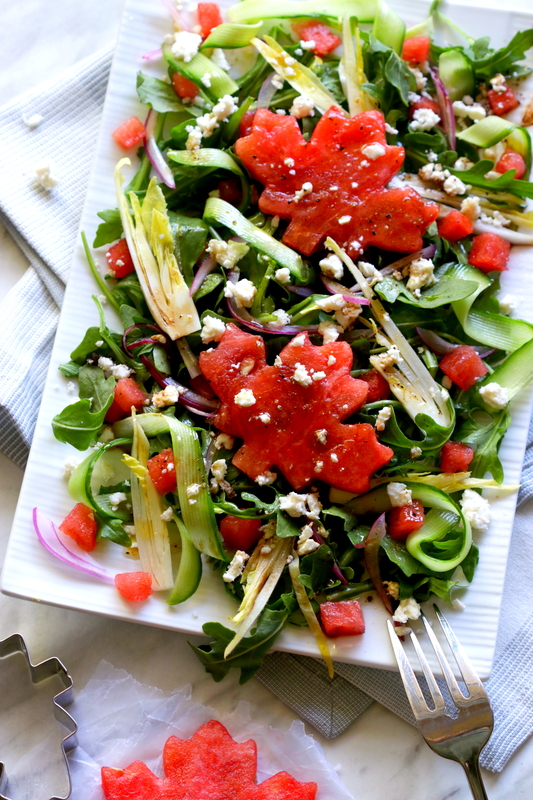 The sliced red onions and diced watermelon add a pleasant sweetness which pairs well with the salty crumbled feta cheese. You’ll simply need a splash of extra virgin olive oil and good quality balsamic vinegar for drizzling. Some salt and pepper and your good to go. You’ll be happy to know that the prep work can be made ahead of time and tossed together when ready to serve. This is always a plus in my book! Nowadays you can find pre-washed arugula in most grocery stores, however I do find the commercial brands to be somewhat milder in taste. 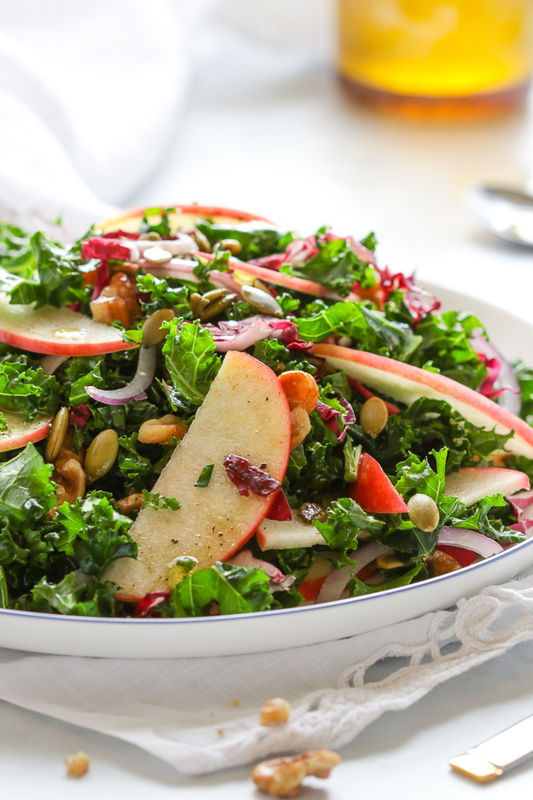 My absolute favorite is the wild arugula which has a stronger peppery taste. It makes a wonderful addition to a variety of meals. It’s super easy to grow…so my dad would say! He knew how much I loved arugula. His garden would be bursting with these peppery green leaves way into the late summer days. I used a maple leaf shaped cookie cutter to cut out some fun shapes with my remaining watermelon. They add a lovely celebratory feel for Canada Day if your so inclined. Kids will be more then happy in helping with the cut outs, but really they’re totally optional here. Most of us in Canada will be out celebrating the birth of our nation on the 1st of July. The day will be filled with barbecues and gatherings with family and friends. Regardless how you celebrate this holiday, have a safe, fun and festive Canada Day! A mix of sweet and salty flavors, this Watermelon and Arugula Salad topped with some crumbled feta cheese is a real crowd pleaser. In a small bowl whisk together the extra-virgin olive oil, vinegar, salt and pepper. 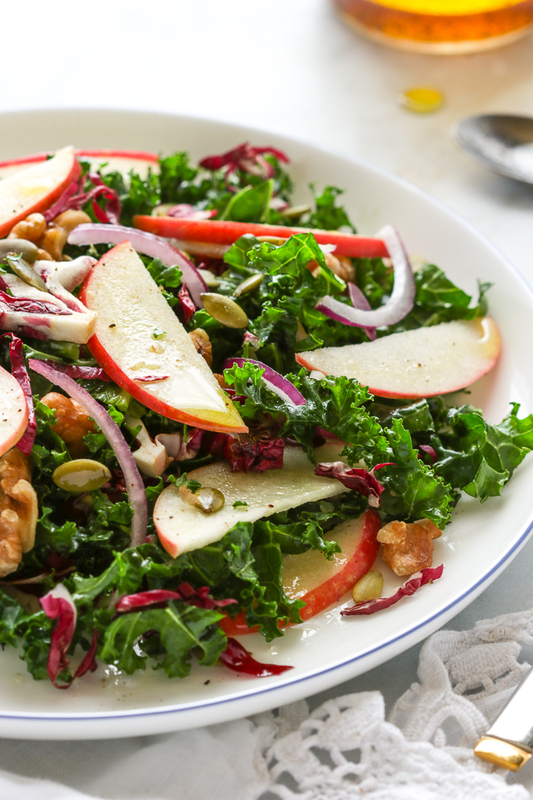 In a large bowl toss together the arugula, sliced endive, cucumber, red onion and fresh mint. 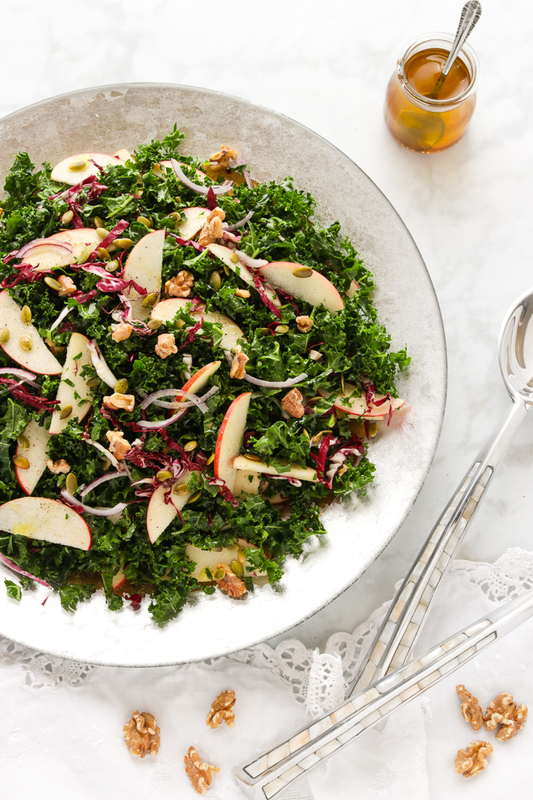 Divide the salad onto 4 individual plates. 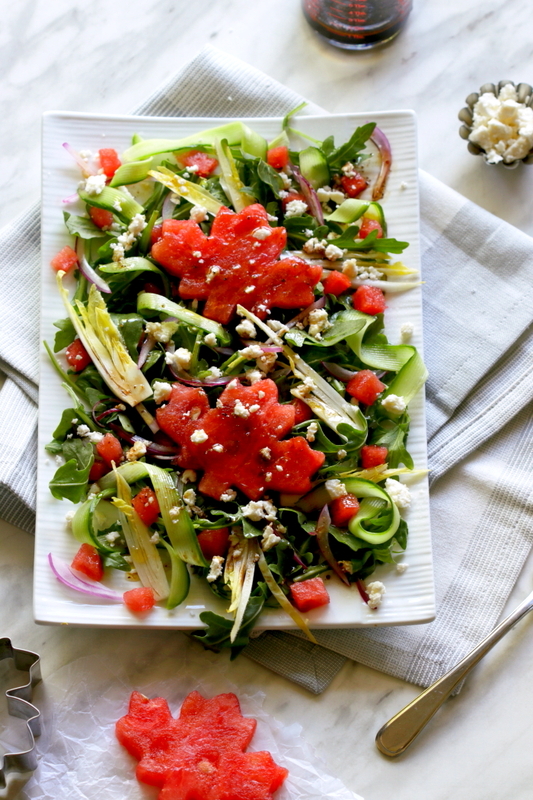 Top each plate with the cubed watermelon and feta cheese. If desired serve with maple leaf watermelon cut outs.